An Environmental Case for Immigration Reform? Immigration is THE topic for most Latino communities right now and it has the right political buzz in the wake of the 2012 elections. As part of the process are the different ways that groups and coalitions are forming to negotiate this opportunity to make comprehensive immigration reform a reality this year. Also in that process are all the pro and con arguments for comprehensive reform, ranging from a basic point of social justice, to health, to the economics of it, and so forth. 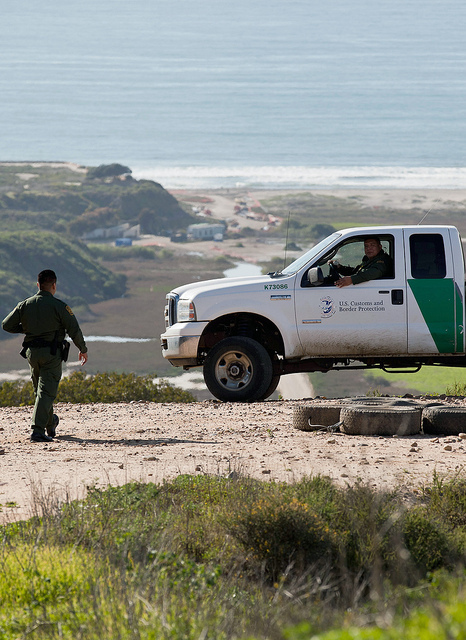 So in this mix, can an environmental case be made for immigration reform? But it does make it a good question to ask: is there an environmental case for immigration reform? And if so, how does it make sense to frame it, and by whom? The first piece was in the LA Times by Bill McKibben, a well-known progressive environmental figure, especially in the area of climate change. Most recently, he has been the lead figure for 350.org and the battle over the Keystone XL Pipeline. In a nutshell, McKibben argued that it was time for the environmental community to embrace immigration reform. His piece elicited a stronger negative response from a variety of Latinos, the “you’re missing a point, or don’t get it” response. The title of the piece “Immigration Reform—for the Climate” may be indicative of the framing that many saw as condescending, misguided, missing the point, or worst of all, downright racist. Part of the issue was that it was seen as using the call for immigration reform as a self-serving way to move the climate change agenda. To give credit to McKibben, he acknowledges that many environmentalists have had difficulty with Latino and immigrant communities when framing the issue of population—essentially framing immigrants as a problem that leads to more disparate effects on the environment. Most memorable in that history were the troubles the Sierra Club had as it struggled with the issue of population control, and a potential board takeover that hinted of nativist themes framing migrants as the bad guys. But a missing point is that in tying increased population patters as directly correlated with immigration, we can miss the point that a greater threat is to not critically examining our consumption patterns, immigrant or not. To further add, Selle notes that it ignores some history and deeper systemic issues, again focusing on the reasons as to why people need to migrate in the ways they do now. A fair point to note, and question to ask, of the McKibben piece is who is the audience? Or what specific purpose does it seem to serve? The piece reads more of a “conversion” piece, where he acknowledges how he is changing on the issue. If we read it with that perspective, two things come to mind. The audiences are himself and those in similar places. Second, the purpose comes across as a way to serve the climate change audience more so than the immigrant community. This does not necessarily excuse how the overall message comes across, but at least it provides more of an understanding of where he is coming from. Mind you, I too have called on Latinos to use their demographic and political clout for conservation and environmental issues. But I think part of the key difference is that you can say it so that it is an empowering statement or you can say it so that it sounds too self-serving or missing key background context on immigration. Nonetheless, I trust Bill McKibben as he takes this risk. In fact, in the comments section of Selle’s story, he admits to needing to “learn his way forward”, and acknowledges that his audience was those resisting immigration reform—and that I would also surmise are ones who care about the environment but may not necessarily see a sound connection with immigration reform. Again, asking who the audience is and what is the purpose, this piece read clearer in terms of addressing the same environmental/conservation demographic and that it was a call for working together as a social justice issue. He was not saying that immigration reform was good for the environment. It read more of a “we’re with you”. Having said that, there would still be many points to bring out that if mainstream environmental organizations are “with us”, then why does it not seem reflected in the movement? Why are there are so many stories about how the environmental justice movement has been wary of some of the work of mainstream environmental organizations? But that is not to detract from exploring the connections between immigration and the environment. The connections are not new and there are genuine and valid areas to explore between the two issues. You can read some exploration of the issue, connections and conflict, in this piece by Jorge Madrid: From a Green Farce to a Green Future. And the Sierra Club too has attempted to tangentially explore the issue via interviews in its magazine articles. Who is the audience? How might other audiences respond and does it matter? What is the purpose and what is your intent? Can it be misread? Has genuine outreach efforts been made to partners on the other issue? Are they with you? Does it matter? Do you understand the messages of the other issue or the “other side”? Are you missing something? Are you touching on the core issues? What may be missing and how important is it to partners on the other side? Are there ways to frame the issues in constructive ways? With that in mind, there is the opportunity to, as McKibben said, learn forward. And we can learn forward together, from each other, with each other. Pingback: Would Immigration Reform Help the Environment?